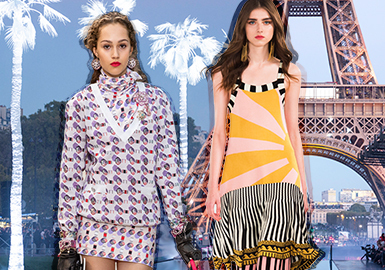 Paris fashion week is the most important among four fashion weeks. 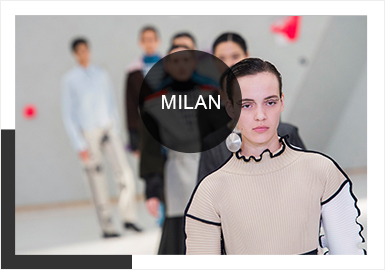 Compared with the other three fashion weeks in New York, Milan and London, Paris fashion week is much more diversified and attracts fashion elites from all over the world. 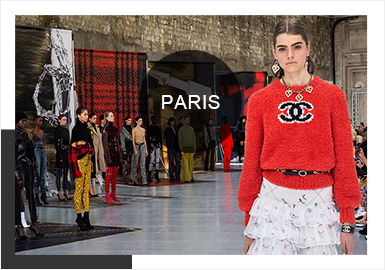 A/W 19/20 Paris fashion week is romantic , sunny, energetic and fashionable. 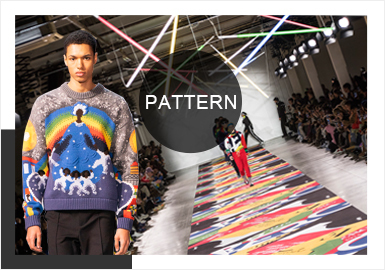 The application of colors and patterns is full of novelties. 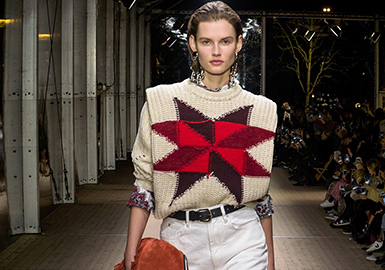 Knitwear is dominant on Pre-Fall 2019 catwalks. Simple and elegant style sees an uptrend, and creative techniques are noticeable. Cardigans are key items. 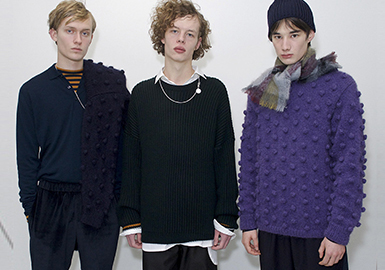 Knitwear of this season is suitable for office and leisure occasions. 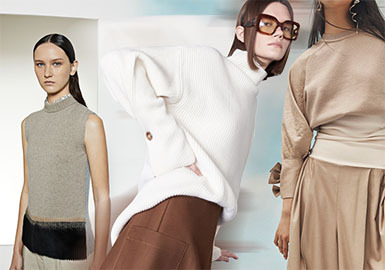 Soft tones and neat silhouettes result in chic and distinctive looks. Many people enjoy traveling in spring and summer. Holidays on beach are covetable. 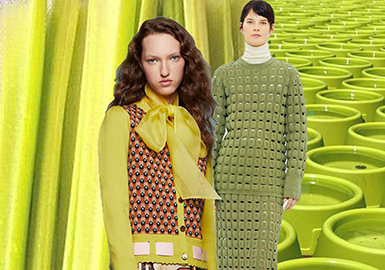 This season, women's knitwear on catwalks plays with resort style, featuring bright colors. Blues and khakis are attention-grabbing. Lake Blue and Sahara Desert are best to interpret the theme. The S/S 2019 New York Fashion Week continues with the athleisure style, neat cutting, soft silhouette and utility resort style. 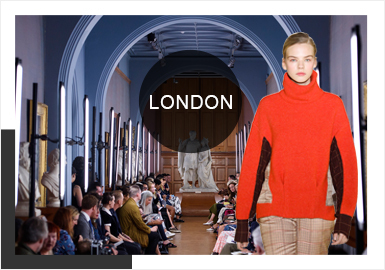 Delicacy is key of knitwear, with mild colors, refined stitches to emphasize an upscale leisure feel. With the acceleration of living rhythm and the increase of working pressure, people are desiring the leisure and comfy life. 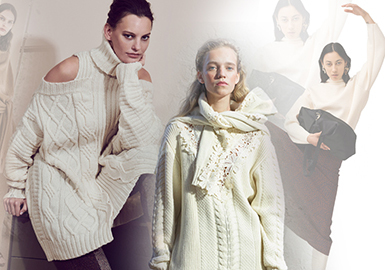 A holiday-style knitwear is perfectly in line with the current nature-loving lifestyle. 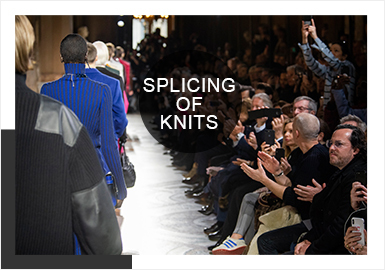 Stitches are basic and important for knitwear. 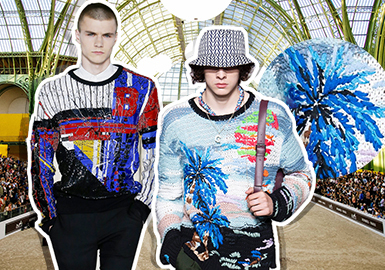 Men's knitwear on S/S 19 catwalks applies fine stitches. 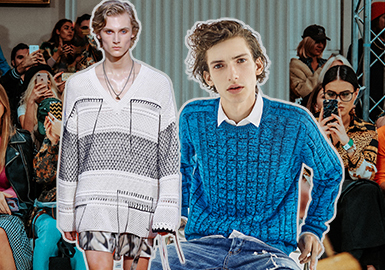 Men's knitwear is well-presented on S/S 19 catwalks, especially the Paris shows, worked in a range of silhouettes, styles, crafts and patterns, stylish yet practical. The details are delicate and intriguing. Veering away from the saturated tones of previous seasons, Coronet Blue has a warm and soft shade, neither dramatic nor unassuming. It pairs with black for a relaxed feel. From the data analysis of the 17/18 A/W and 18/19 A/W, we can see that there is a significant decline in the achromatic colors, the ratio of purple red and blue is rising, alongside orange and yellowish green. 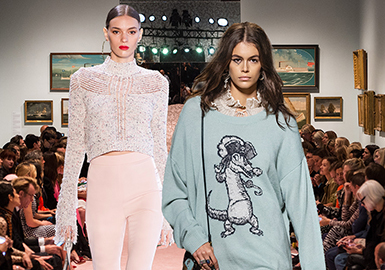 Sequins and rhinestones are decorated on some parts of knitwear with striking sheen. 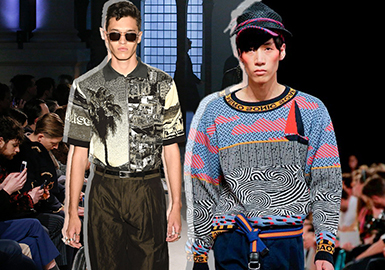 Polo collar shirks its menswear-only association to transitions into womenswear, seeing more and more fashion elements on the catwalk. The round-neck shoulder-wide vest creates a neat and lively look, N 21's knitted vest with houndstooth delivers a strong sense of retro, while the all-over prints of scenic road create a fresh and modern look.